Bill: Why don’t we take the Muzzle-loader Hunting Seminar? I always want to learn about that. Wayne: Sure. 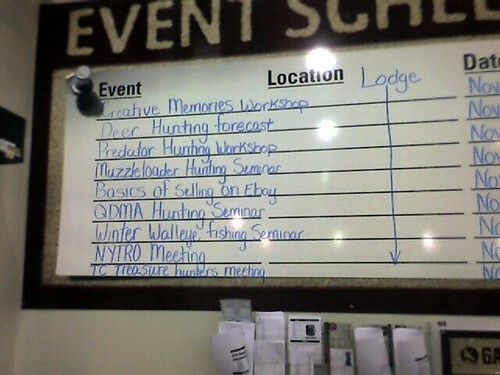 Then, after we get back from hunting, we can take the Creative Memories Seminar and learn how to make a scrapbook of our time together. Wayne: I’ve always wanted to learn about that.